First-person shooter video game fans of the Half-Life 2 mod NeoTokyo will be pleased to know that this week it has been launched as a standalone game via Valve’s Steam games network. NeoTokyo is an awesome modification of the iconic Half-Life 2 game which transports players into a futuristic world setting and was originally launched back in middle of 2009. Studio Radi-8 is responsible for he development of the Half-Life 2 mod which was voted to be released through Steam Greenlight on October 16th 2012. 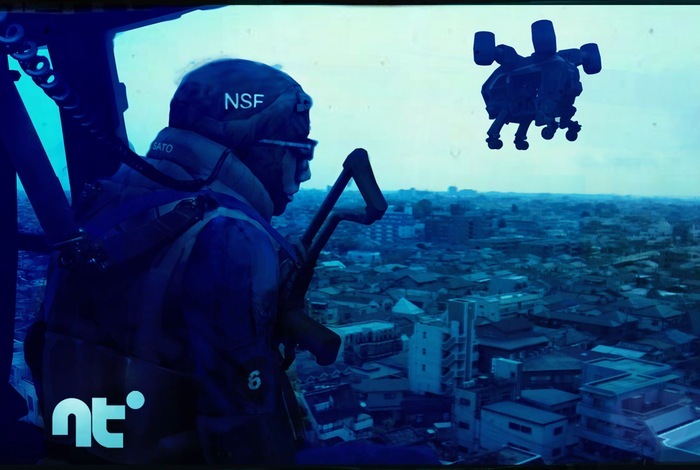 Now the NeoTokyo multiplayer first person shooter mod is available as a standalone game that can be downloaded directly from Steam, and has been removed from its SDK dependencies. Check out the trailer below to learn more about the game and its gameplay style. “Inspired by such titles as Ghost in the Shell and Akira, NeoTokyo is set in a near-future Tokyo, Japan. After the failure of a proposal to alter the Japanese constitution to allow foreign deployment of Japanese soldiers, a military coup d’état is attempted by extreme nationalist factions in the JSDF. For more information on the new NeoTokyo standalone game jump over to the Steam website for details.